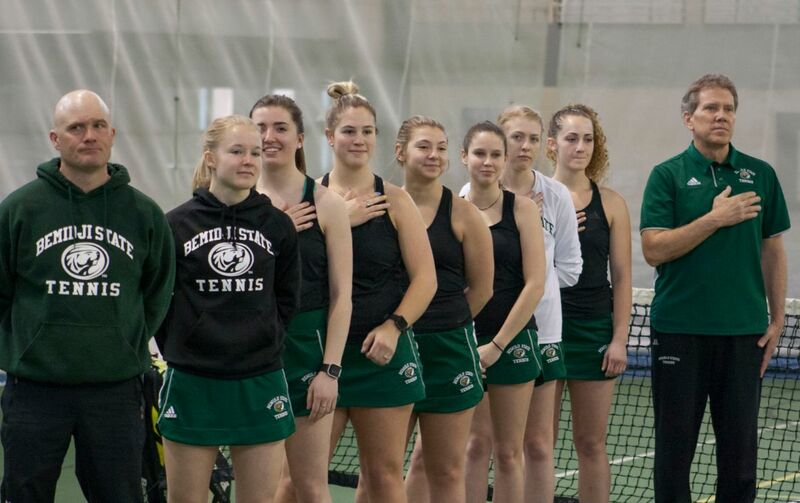 The Bemidji State University tennis team will travel to Minnetonka, Minn. to compete in the Northern Sun Intercollegiate Conference Tournament Apr. 13-14. The Beavers, ranked 7th, will take on second-seeded Minnesota State University Moorhead in the first round of the tournament Apr. 13 at the Lifetime Fitness Oakdale Tennis Village. The match will begin at 9 a.m. The Beavers come into the tournament off of a three-match win streak, defeating Upper Iowa University, 5-2, Concordia College, 7-0, and University of Wisconsin- River Falls, 7-0. BSU holds a 11-6 overall record and are 6-5 in NSIC play. MSUM sits at 14-3 overall and 10-1 in conference play. MSUM’s single NSIC loss came from Augustana University, 7-0. Earlier this season, BSU fell, 4-1, to MSUM in Grand Forks, N.D. Bemidji State’s point came from Hannah Alme defeating Alexis Konecne, 6-0, 5-7, 6-3, in the number three singles position. Zoe Lindgren and Ariadna Lopez-Simo won their number one doubles match, 6-3, but MSUM won the point with wins in the two and three spots. The winner of the Beaver vs Dragon matchup will move on to play in the semifinal round Apr. 14. Semifinals begin at 8 a.m. Sunday, also at the Lifetime Fitness Oakdale Tennis Village in Minnetonka, Minn.